Hazard ready to talk to Chelsea hierarchy but says Real Madrid are "the best club in the world"
Eden Hazard says he is torn between signing a new contract at Chelsea and a move to Real Madrid. 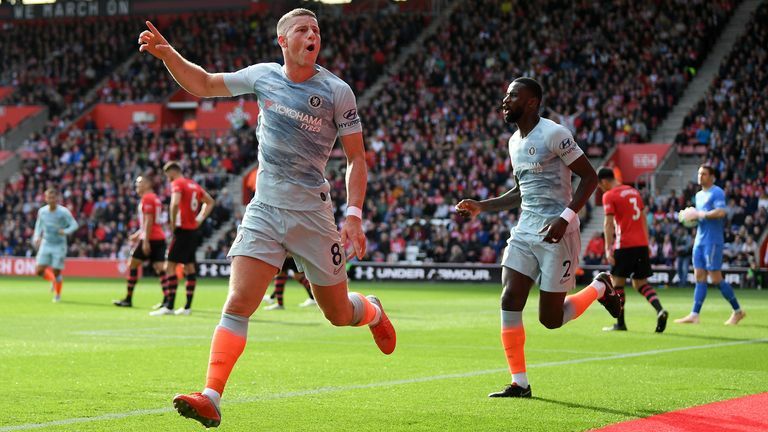 "I don't want that," Hazard told reporters after scoring his eighth Chelsea goal of the campaign in the 3-0 win at Southampton on Sunday. "I want what's good for me, but I want what's good for the club because the club has given me everything. "I don't want to say: 'Yes, I am signing a new contract' and then in the end I don't end up signing. So I will see. Sometimes in my head, I wake up in the morning and think I want to go. "Sometimes I think I want to stay. It is a hard decision. It is my future. I am 27 and I will turn 28 in January." "That's why I spoke after the World Cup and I said that I think it is time to change because I played a great World Cup," he said. "I am really in the game, I am playing good football at the moment. Real Madrid is the best club in the world. I don't want to lie today. "It is my dream since I was a kid. I was dreaming about this club. We will see. I don't want to talk about this every day. I don't have time but we will talk about my future soon. I think so." Hazard has won two Premier League titles, the FA Cup, the League Cup and the Europa League with Chelsea, and is flourishing under new head coach Maurizio Sarri this season. "I could talk now," he said. "If they come to me, then I will talk. "I don't want to say that I am not talking with the club or the owner. I am talking a lot with them."